Skytop Lodge, a year round resort in the Pocono Mountains, has many hospitality openings available and offers an excellent benefits package, competitive pay, free meals, incentive programs and much more. 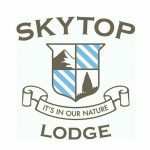 Skytop Lodge – located only twenty minutes from Mount Pocono and Stroudsburg. Come join the Skytop family. For more info and a complete listing of available positions, click here. This grand destination is a true luxury hotel in the Poconos. Come join the team at Skytop!